Resilience is a key challenge for the industry in preparing for PR19, as United Utilities noted in a report last year – but what role can technology play in creating the desired resilience in wastewater networks? Resilience has been on the water industry agenda for some time. Back in 2015, the newly formed Resilience Task and Finish Group, reporting to Ofwat, set out to discover what resilience meant in relation to water and wastewater services. It defines resilience as ‘the ability to cope with, and recover from, disruption, and anticipate trends and variability in order to maintain services for people and protect the natural environment now and in the future’. The subsequent report made ten key recommendations for service providers in planning resilient water and wastewater services. Government has also been pushing resilience up the general agenda, turning its attention to the sector in March 2016 with the publication of a Defra paper, Enabling resilience in the water sector. Arcadis’ 2017 report for United Utilities, Measuring Resilience in the Water Industry, looked towards the challenges of PR19, with a focus on operational resilience, critical systems and hazards – but what about our waste water networks? What role can technology play in improving their resilience? Technologies that provide protection for pumps and other assets can deliver measurable resilience benefits throughout the process, as well as economic gains. They offer smart, upfront solutions at the beginning of the treatment train. Another key area is grit plant optimisation, which is at the heart of wastewater treatment resilience, despite being a basic process often not seen as key to the treatment train. If grit plant is not performing well and does not retain enough grit, the effects of even quite fine abrasive detritus can be significant. Grit accumulates wherever flows slow – for example in tanks and channels – and can be costly to remove. It also increases wear on pumps, reducing their anticipated lifetime and increasing maintenance for vulnerable parts such as impellers. Proactive maintenance of grit plant is therefore vital and regular health checks for grit plant at treatment works essential. Implementing such resilience solutions, and planning for refurbishment of assets before they fail, is not only key to ensuring longer asset life but is often also more cost-effective than replacement, particularly with the change in focus from Capex to Totex. 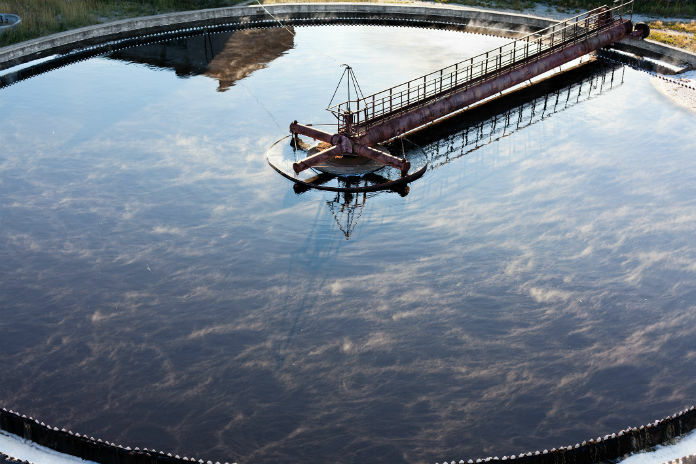 Enhancing resilience by protecting pumps also requires a comprehensive and effective Totex-focused inlet works strategy that includes effective screening of debris, which can damage and block pumps and fine screens, leading to costly repairs and long down time. 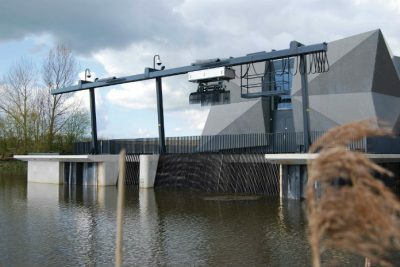 To address these issues, a wide range of screens and screenings handling equipment have been developed to provide the required level of protection and resilience, from innovative coarse and fine screens to the large-scale trashrakes which are increasingly becoming a product of choice to protect pump stations and all pumping installations. The water industry’s requirement to meet the challenges of resilience needs to start with awareness of the robust, effective technologies that protect against impacts to vulnerable and expensive assets. With simple, proactive measures, a key element in the resilience conundrum can be resolved.